SuiteFiles Outlook is an add-in that allows you to save email and attachments directly from Outlook to SuiteFiles, easily attach files to email and manage email templates. The SuiteFiles Outlook add-in is supported on the Windows platform with Outlook 2013 and Outlook 2016. The Microsoft .NET Framework version 4.6.2 is also required on the computer. If this hasn't been installed this can be downloaded and installed from here. 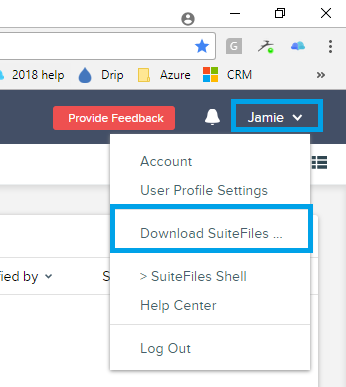 You can download the latest installer for SuiteFiles Outlook by logging into your SuiteFiles site, clicking on your name which will display a drop-down menu. Click on download SuiteFiles.. and then the button 'Download' under SuiteFiles for Outlook and it will start automatically. NOTE: SuiteFiles Outlook only works in Outlook 2013 and Outlook 2016 running Windows. Microsofts .net framework 4.6.2 or higher needs to be installed for the app to work successfully.